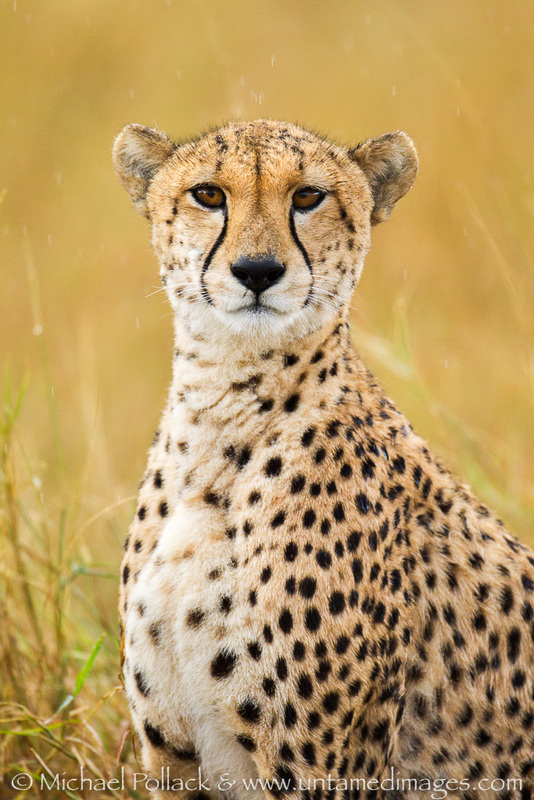 A female cheetah poses cooperatively during a rain shower in Kenya's Olare Orok Conservancy located just outside the Maasai Mara. Admittedly, it has taken me far too long, but I have finally posted an image gallery from a trip to Southern Kenya that Alison and I took several years ago. The game viewing we experienced on this trip was nothing short of spectacular. We saw multiple river crossings by massive herds of wildebeest and zebra, predation by crocodiles, lions mating, lions with cubs, countless cheetahs with cubs, and brilliant sunsets, to name just a few of the highlights. I hope you enjoy viewing the pictures. Please click here to see the gallery. As always, I welcome your questions and comments.